A Republican leader with 25 years of hard-earned respect from the party that prides itself on fiscal discipline, awarded contracts worth hundreds of thousands of dollars to consultants, lawmakers, candidates and party insiders over the course of nearly 30 months as state party chairman, contributing to the financial wreckage the party is trying to fix today. 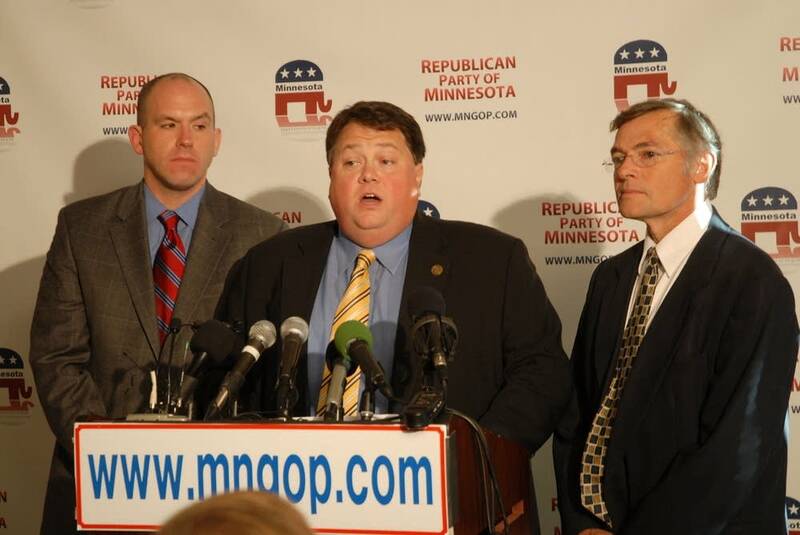 Tony Sutton, the Minnesota Republican Party's bombastic leader who resigned last month, continued to spend even as giving slowed over the past two years, leaving the Republicans $2 million in debt. Today party leaders are gravely worried that loyal donors -- small and major givers alike -- will be so angered that they'll refuse to contribute more money, compromising Republican efforts to hold and gain political power. MPR News reviewed the party's finances since 2007 and found that a significant amount of money went to firms and people who are closely tied to the state's Republican Party and Sutton. He resigned on Dec. 2, 2011, after Republican leaders and delegates grew concerned about the party's spending habits. It's not clear whether such spending violated laws or party rules, but already the party's failure to report some of its outstanding debt will likely result in fines from campaign finance regulators. What is clear, though, is the party lacked accountability for selecting vendors and managing budgets. "I wasn't handling every invoice, I wasn't handling every detail," said Sutton, the chairman from July 2009 until December 2011. "I was spending my time raising money and trying to do what we had to do to win elections." At one point last summer, Sutton -- who earned headlines with his harsh attacks on Democrats and Republicans he considered disloyal -- resisted party leaders when they suspected the finances were out of whack. The debt also creates a significant hurdle for candidates running this year. The November ballot will include the U.S. Senate race, every member of Congress and every seat in the Minnesota Legislature. Some candidates say they aren't banking on the Republican Party to organize statewide flyarounds and large voter drives. "Whoever our endorsed candidate is, is not going to enjoy some of those perks," said Anthony Hernandez, who could face DFL Sen. Amy Klobuchar in the 2012 U.S. Senate race. "The debt's not going to be paid off before November." Some party backers are questioning where the party's money went and several expressed surprise when told about some of the spending. Thursday night the party's executive committee agreed to do an internal review of some of the expenses incurred during the past 2 1/2 years to try to dissect what happened, said a party leader. Chief among their concerns are dollars paid to Tony Trimble, the party's attorney who argued unsuccessfully in the 2008 U.S. Senate recount and the 2010 gubernatorial recount. During Sutton's tenure, Trimble made more than $1 million, an amount leaders say was excessive. Also on the party books was $221,000 paid to Strother Communications, a public relations firm charged with rebranding the party. One party leader said the effort never resulted in a concrete plan. The party also paid officeholders -- or those campaigning -- $120,000 in consulting fees and salary; a staffer already earning an $85,000 salary an additional $14,000 for legal work; and two former party staffers $56,000 for consulting. Like other political parties, the Minnesota GOP picked vendors based on a combination of price and trust. In some cases, depending on the project, the party sought informal bids; in others, it picked vendors based on pre-exisiting relationships and referrals. But party bylaws allow the chair to decide who the party hires. It's not an unusual approach. 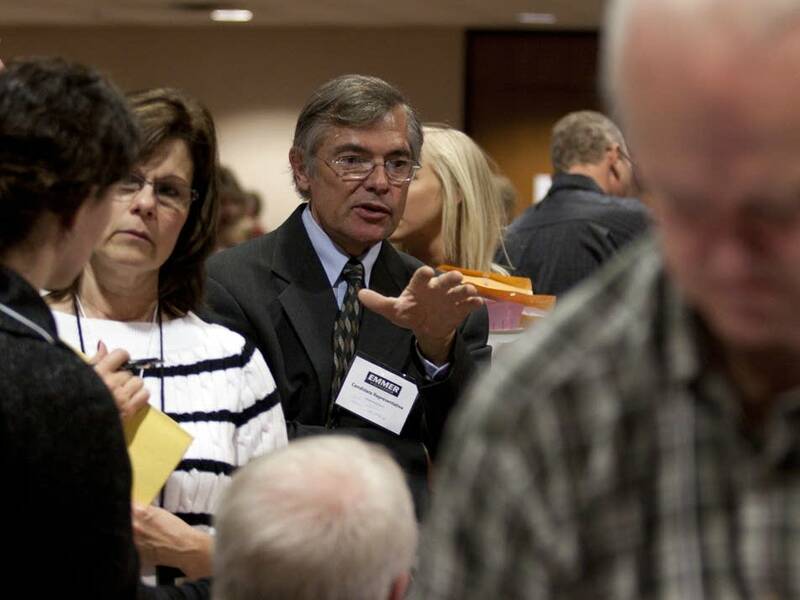 The Minnesota DFL chooses vendors in much the same way, said spokeswoman Carlie Waibel. The state Republican Party budget varies from year to year. In 2010, it spent $6.7 million, a figure that's comparable to the Republican Party of Iowa, which spent roughly $6.6 million, and the Republican Party of Wisconsin, which spent $4.3 million in the same year. Party leaders say Sutton's financial mismanagement and questionable choices are a key factor in the large debt. "The party was not bringing in the money that he was projecting in his financial reports," said Rick Weible, the co-chair of the GOP's 3rd Congressional District. "We were missing the forecasts." Sutton acknowledged he should have slowed spending after it became clear fundraising dried up. Now party leaders are worried about donor support in the coming election year. To reassure their supporters, some members of the executive committee are pushing for an additional review of the party's books. The group also is considering some fundamental changes to how the party is run, including whether the chair has too much power. "This is the sort of thing that happens when there are poor financial controls," said Minnesota's Republican National Committeewoman Pat Anderson. "Organizations, whether they are government entities or state political parties, have to make sure they have a good system of checks and balances in place. Clearly we did not." Anderson and Weible could see it coming. They and others grew more concerned about the party's finances in the summer of 2011, and pressed Sutton for more detail. "What we were getting from the treasurer and the chair in reports did not match up with what you could easily find online with FEC reports," Anderson said. "There was a lot of suspicion even back then about the size of the debt and whether the reports were accurate." At first Sutton resisted calls for greater transparency, Anderson said. In October, he agreed to open up the books, but party leaders say they didn't realize the extent of the problem until Sutton resigned in December. Sutton said the party's problems were a result of poor fundraising from donors who gave in small amounts. He said the elimination of the state's Political Contribution Refund was a drain on the party's coffers. That state program, which was eliminated in 2009, allowed donors to claim a tax refund of $50 when they contributed to political parties. The data support Sutton's claim. In 2006 -- the last time every member of the Legislature and every constitutional officer were on the ballot -- campaign finance reports show the party received $1.8 million in donations that were $100 or less. In 2010, reports show the party raised only $255 from small donors. Sutton said he thought he could make up for the loss by tapping wealthy donors for cash. But he conceded he should have scaled back spending to keep the books balanced. "My mistake at the end of the day was not reacting to the change aggressively enough," Sutton said. Jeff Johnson, Minnesota's Republican National Committeeman, said the problem was a legitimate one. "Small-dollar fundraising was not coming in apparently, and hadn't been for the last year and a half, and there weren't appropriate adjustments in spending," he said. The party continued to spend at high levels through the 2010 election and in 2011, according to records. During that time, Sutton was at the controls. Sutton has been a mainstay in the Minnesota Republican Party for 25 years. He grew up in Hibbing, campaigning for Republicans in a DFL stronghold. Sutton also served in several state party positions including field director, finance director and executive director. He was secretary-treasurer of the party from 2005-2009, and was elected party chair in 2009. Serving in all of those roles helped Sutton rise to prominence and influence in the Republican Party. "If I were to want some advice on a political campaign or strategy, Tony would be right at the top of the list for me," said Johnson. But his reputation may have also lulled some supporters to trust him too much. "He's been active running campaigns for a long, long time," Anderson said. "A lot of people trusted him, and that may be why he was able to do what he may have done here." During his time as a party officer, Sutton also ran the Baja Sol restaurant group from 2006-2010. Sutton's resume on his LinkedIn page says he currently owns a political consulting company, but he told MPR News that he's out of work. Trimble & Associates, a legal firm owned by Tony Trimble, saw the Republican Party through two election recounts and a redistricting battle. Since 2008, the firm has made more than $1 million from the party, much of it stemming from the eight-month U.S. Senate recount between Republican incumbent Norm Coleman and Democrat Al Franken. Franken ultimately won the election. The Republican Party still owes Trimble's firm $330,000 for work during the 2010 gubernatorial recount between the GOP's Tom Emmer and DFLer Mark Dayton, according to state party leaders. But those leaders are challenging the expense, and questioning Sutton's role in obligating the party to pay it. Trimble billed the party even when there was no apparent legal crisis. Federal election records show the party paid Trimble $66,460 in 2011, a year with no noteworthy legal matters. "The size of the legal bills is shocking," Anderson said. Trimble said that his firm did only the legal work that was requested. He characterized the Republican Party as "a great client" and defended his rates. "We bill at $250 an hour, which is a highly discounted rate," he said. Until Jan. 10, Trimble also represented Sutton and his wife Bridget, who are being sued for breaking a lease last year on their Baja Sol restaurant in Inver Grove Heights. The business relationship ended -- "I let him go. I'm unemployed, I can't afford him," said Sutton -- and so, too, has Trimble's work for the state Republican Party. "He was considered the party's attorney up until Tony Sutton left. We have not used his legal services since that point in time and there's no intention to change that," Anderson said. Months after Sutton became chairman he hired a Minneapolis-based public relations firm to rebrand the party, a decision that benefitted a loyal party member. Sutton told MPR News that he hired Strother Communications to craft a message for the 2010 election to help Republicans take control of the Minnesota House and Senate for the first time in nearly 40 years. Sutton said firm founder Pat Strother and party activist Jonathan Aanestad helped Republican candidates focus on four key messages: fiscal responsibility, personal responsibility, free enterprise and limited government. "They did message development. They did focus groups," Sutton said. "It was a pretty important part of what we did." Sutton says Strother's work was essential to the party's victories in 2010 because it helped attract tea party voters to Republican candidates. But while Sutton says the money was well spent, 2010 was the first election since 1978 that the party didn't win a statewide office. And during the last election, the party spent $593,306 on advertising for Republican Tom Emmer's bid for the governorship, which he ultimately lost. Strother Communications earned $221,000 and is owed an additional $52,446. Some on the party's 14-member executive committee are questioning whether the money was a good investment. "I'm looking at the amount of money that was spent, and I'm not sure what work product we got," said Weible. "I have not seen any clear report that I have in front of me." Strother's work is a good illustration of how the party at times contracted with people who had close ties to Sutton. 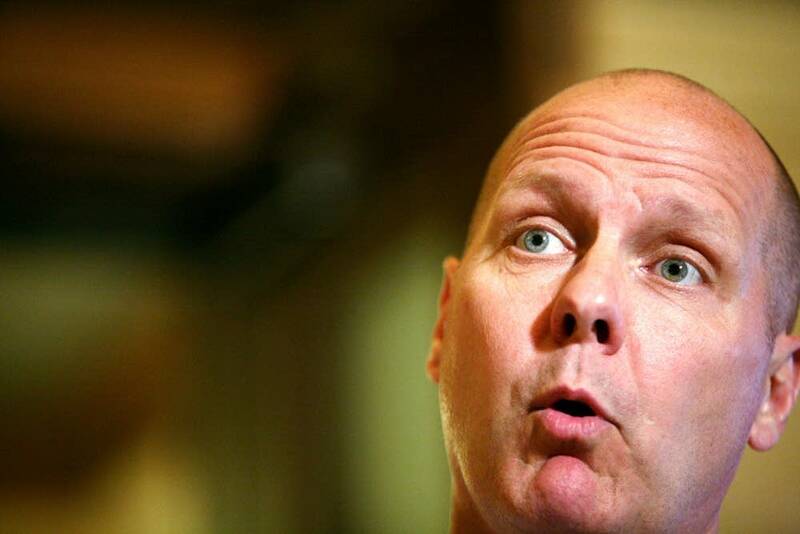 After becoming close with Aanestad through party activities, Sutton initially hired him in June 2009 to serve as the party's communications director. But one day later, Sutton said Aanestad was not going to serve in that role because of "business commitments." Subsequently, Aanestad introduced Sutton to Strother and encouraged him to hire Strother's firm to rebrand the party, Sutton explained. In early October of 2009, Strother Communications got its first check from the party. Both Aanestad and Strother said they could not comment on their work due to a confidentiality agreement with the party. Sutton seemed to favor the services of current and former party executive directors. The last three were awarded contracts to work for the Republican Party. During Sutton's tenure, Ryan Griffin served as the party's executive director. But in addition to his annual salary of $85,000, he was also paid roughly $14,000 for consulting and legal work, according to campaign finance documents. Sutton characterized the payments as a bonus for advising the party on legal issues during election season. Two former executive directors of the party, Ben Golnik and Darren Bearson, also secured contracts. 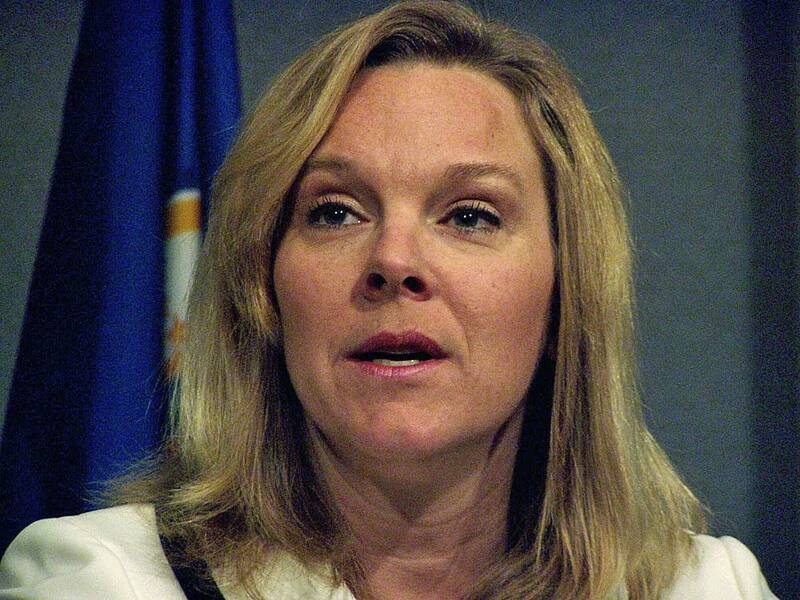 Golnik was paid $6,000 to help with the 2010 gubernatorial recount and to help Republicans win the Minnesota Senate. He's still owed another $8,000. Bearson's firm, Compass Point Strategies, earned nearly $50,000 for media and consulting work since 2009. Several elected officials also appear on the party books. State law forbids a candidate from paying himself for work. But it doesn't prohibit candidates and political parties from hiring elected officials. Mike Dean, executive director of the government watchdog group Common Cause Minnesota, said he believes the Republican Party of Minnesota is circumventing that law. "This practice doesn't meet a smell test in terms of what is ethical," Dean said. "There should be a clear bright line that says candidates for office should not be paid by other candidates for office or political parties." During Sutton's tenure, Joe Schomacker, who is now a Republican state representative from Luverne, worked on the party's field staff while he was running for his seat. He earned roughly $1,800 a month. And one legislator is still under contract. Party records show Sen. Dave Thompson, R-Lakeville, was paid $70,000 for communications consulting beginning in October of 2009 -- four months after Sutton defeated him for party chair. In 2010, Thompson ran for state Senate and won while working for the party. He overwhelmingly defeated Democrat Steve Quist. Thompson said his work included training candidates to deal with the media and writing opinion pieces. After his original contract ended, the party renewed it. Thompson, who also consulted for Lee Byberg, a Republican candidate for Congress, defended his work for the party. "I guess I never saw that as being any kind of conflict, and still don't to this day," Thompson said. "The one thing I would say is that my initial contract ended, and they asked that I stay on and continue to do work for them." Thompson couldn't say whether he or Sutton suggested that he work for the party. He said he's still owed $7,700. He also said he suggested to party leaders that his current contract be terminated because of the party's debt, but he hasn't heard back. For his part, Sutton said he sees no conflict with the practice of hiring lawmakers. "If somebody is doing a job, just because they are running for office that's not a disqualifier," he said. "Not at all." DFL Party Chair Ken Martin said his party has a policy of not hiring elected officials or candidates. The spending included some peculiar choices, too. One was a payment of $5,000 the party made in November 2010 to Cadfael Investigative Group. The owner, Tom Rucke, said he was paid to look into allegations of voter fraud extending from the 2010 governor's race. He said he reported some allegations to the Hennepin County Attorney's office, the agency that would typically do that type of investigation. In September 2010, the party paid TG Med, a small company that markets medical products, roughly $10,500. TG Med owner Tim Goer said his contacts within the party asked him to look into the efficacy of medical marijuana. When asked about this contract, Sutton referred questions to former party executive director Ryan Griffin. Griffin declined comment. Anderson said she was shocked when informed about the contract, because party officers told her money was tight during the 2010 election. Anderson lost her bid for State Auditor that year. "I was a candidate at the time and the party was dead broke," she said. "We're trying to win races, and the party doesn't have money to help campaigns hardly at all, and we're spending money [to research medical marijuana]." Sutton and the Republican Party also did business with at least one major donor. Donors typically give money to political parties they agree with to win elections. In this case, a donor gave money to the Republican Party and also created a business to sway voters. The donor is Robert Cummins. The business is Civis Communications. In 2009 and 2010, the party paid Civis Communications about $82,000. Roughly half the cash was for direct mail services and the other half was for voter identification efforts. Cummins, CEO of Primera Technology, is one of the GOP's top donors. In 2010, according to records, Cummins gave $425,000 to the party's state account. In addition, the Freedom Club State PAC, which Cummins helped create, gave the party $400,000. 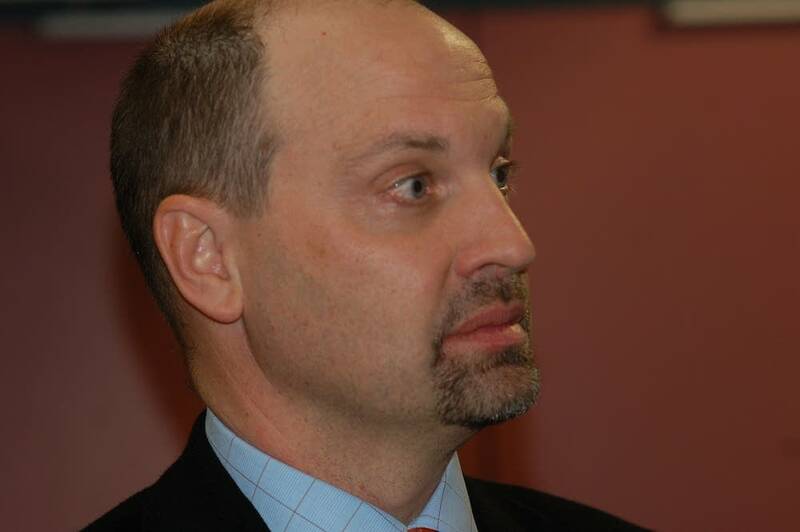 Mike Scholl, who is executive director of Civis Communications, said he leads the daily operations of the firm and did not want to comment on Cummins' role. He said that Cummins' influence within the party did not help Civis secure the contract. Some GOP party leaders say the red ink and subsequent controversy have raised concerns about how the party secures contracts with vendors. Party bylaws allow the party chair to spend money without any oversight, and there's no bidding process required to ensure that the party gets a valuable return on its investment. Members of the executive committee say they aren't sure anything fraudulent occurred under Sutton's watch, but the party is nevertheless accused of campaign finance violations, which could result in fines. Government watchdog groups at the state and federal levels have filed complaints with campaign finance regulators, claiming the party broke campaign finance laws during Sutton's tenure. Chief among them is failing to report $415,000 in debt. Party leaders announced the additional debt less than a month after Sutton resigned. The complaints come just five months after Republican Party leaders admitted to failing to disclose debt in 2006. 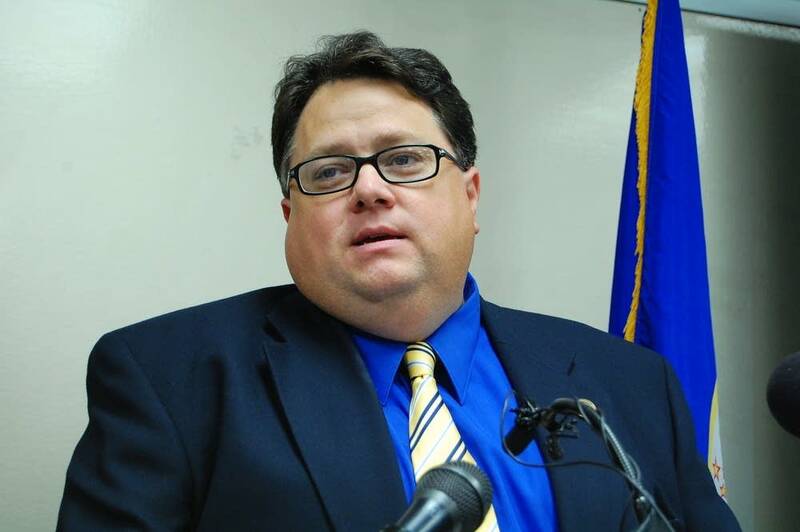 Political consultant Pat Shortridge, who was chosen to succeed Sutton as Republican Party chair on Dec. 31, told reporters after his election that he wasn't sure whether Sutton and other party leaders should be held accountable for the party's spending. "I think most of our party is not interested in trying to drive ahead looking in the rearview mirror," Shortridge said. Weible, an executive committee member, said he's not willing to move forward just yet. "There's a reason why your car has a rearview mirror," he said. "That rearview mirror is there for a purpose, so you can stop and take corrective action, and avoid those things from catching up to you."